I’ve been drinking Pickle Juice for years. I rule! 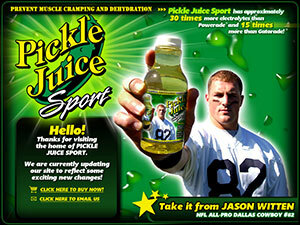 Meet The New Sports Drink: Pickle Juice | ThePostGame. « Monkeys are so darn cute.